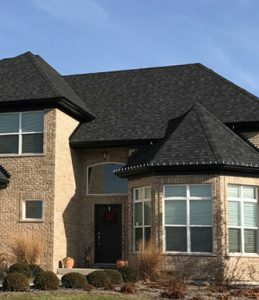 Roofing and Roofing Repair Aurora, IL - M. Pierce Roofing Inc. Roofing and Roofing Repair Aurora, IL - M. Pierce Roofing Inc.
M. Pierce Roofing serves Aurora, IL home and business owners with premium roofing, siding, gutters, and soffit & fascia provided by skilled tradesmen. Our extensive background in both supply and installation positions us to know which products will serve you best and how to implement them. We also repair Aurora interiors damaged by water infiltration. Call us at (630) 538-1523 today to discuss your project and request an estimate. Be sure to inquire about our customer-referral gift-card program for Aurora as well. 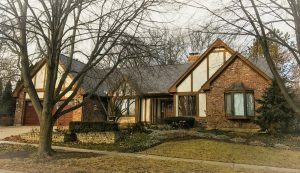 Contact us at (630) 538-1523 today to learn more about our roofing repair and improvements for Aurora, IL. We can arrange for a company representative to evaluate your project and give you a no-obligation estimate. M. Pierce Roofing installs vinyl siding, aluminum siding, and James Hardie® and LP® SmartSide® composite siding and cedar for Aurora homes and businesses. Contact us at (630) 538-1523 today for more details about our additional products and services for Aurora, IL. Soon after a storm hits Aurora, many out-of-state ‘storm chasers’ will arrive to offer you a post-storm inspection. Their aim is to have you contract with them to repair any damage. These companies will use local contractors to work on your property. Once they are done in Aurora, they will focus on the next area hit by a storm. If you have a warranty issue with the repair work, you could be challenged in resolving it because they’ve already moved on. M. Pierce Roofing is a local storm damage specialist that stays local. We will appraise and repair any storm damage to your home or business in Aurora, and we’ll still be here should you have an issue or need follow-up. Our storm damage restoration for Aurora includes hail, wind, lightning, water damage and damage from trees. If a recent storm has affected your home or business, or you believe it has, contact us at (630) 538-1523. M. Pierce Roofing’s trained personnel will know what to ask and look for in assessing your damage.